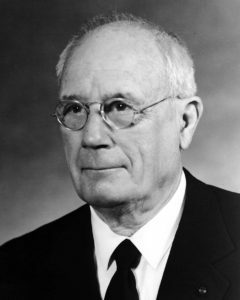 Richard E. Schultes was the preeminent ethnobotanist in the world, he promoted tropical forest conservation at the level of the developing country by demonstrating the value of tropical plant species to industry and medicine. Richard E. Schultes is a legendary field biologist, a pioneer in tropical forest conservation and ecology. He has been described as one of the greatest explorers in this century. A man who has been publishing on the global importance of plant conservation since the 1940’s, Dr. Schultes is widely recognized as one of the founding fathers of the international conservation movement. Dr. Schultes is one of the world’s foremost ethnobotanists, whose influence in research and training of ethnobotanists worldwide has been enormous. Ethnobotany, the study of the use of plants in primitive cultures, is a fundamental subject in basic and applied biology as well as anthropology. Richard Schultes has led the effort to save the rainforests and the knowledge that the forest inhabitants have of the properties of their plants. Those efforts are now morecritical than ever, given the estimated rate of destruction of the world’s tropical forests an area roughly equivalent to twelve times the size of Rhode Island each year just in South America. For over four decades, Dr. Schultes has carried out active fieldwork in the Amazon. From 19411954 he lived in the Colombian Amazon. His plant collections, which number some twentyfive thousand to date, are an essential foundation to Neotropical botanical studies of many plant groups. His studies encompass the rarity and distribution of plants and their usefulness to the Indian peoples who depend on them for their existence. He has demonstrated that native peoples’ understanding of these complex tropical ecosystems is essential to our own understanding and management of these fragile ecosystems. Colombia has set aside 15 million acres of Amazonian forest, and named a large section for Professor Schultes in recognition of his work in conservation. A search for the formulas of Indian arrow poisons, extracts of which are now vital medicines as muscle relaxants in surgery, stimulated Dr. Schultes’ first expedition to the Amazon in 1941. For almost two thousand species he collected notes on native uses as medicines, poisons, or narcotics. One measure of the high regard in which he is held by fellow scientists is to note that several genera and many species have been named for him by botanists. Above all Dr. Schultes has imbued his countless students throughout the years with a respect for the importance and fragility of our natural environment. However, he has not confined his teaching to Harvard. His influence has been seminal in the growth of respect throughout the world for tropical biology and ethnobotany. As the rain forests of the world are being cut down at an alarming rate, countless species of both plants and animals face certain extinction. The peoples who have an intimate knowledge of these forests are, at the same time, becoming Westernized and/or face extinction. Dr. Schultes’ work has generated a very active group of botanists who are dedicating their lives to salvaging native knowledge of the properties of their plants before this knowledge is forever lost. The National Academy of Sciences (U.S.), the American Association for the Advancement of Science, the American Academy of Arts and Sciences and the Linnean Society of London have all honored Dr. Schultes with election to membership. Similar honors have been granted by the Academies of Science of Colombia, Ecuador and Argentina. Dr. Schultes earned his undergraduate degree and Ph.D. from Harvard. He is Edward C. Jeffrey Professor of Biology, Emeritus, at Harvard and for many years was Director of Harvard’s Botanical Museum. Among his other honors, Dr. Schultes has received the annual Gold Medal of the World Wildlife Fund, and the Order of the Cross of Boyaca (the highest award given by the Republic of Colombia). Gilbert F. White was an outstanding geographer and world leader on problems of the environment, he promoted the scientific basis for, and the consequent application of, innovative alternative water resource and river basin management policies and practices. Gilbert F. White is a world renowned geographer whose research has contributed to the understanding of interfaces between the natural and human environment. The specific subject of Dr. White’s scholarship has been water resources. His pioneering studies challenged existing methods of flood management and established natural hazards as a legitimate field of geographic investigation. His research on river basins gave substance to the notion of integrated river basin development long before systems theory came into vogue. Over time the scale of Dr. White’s research expanded from the local to the national to the international. The culmination of his career has been global analysis and global leadership. Dr. White helped UNESCO with arid zone research; he chaired the U.N.’s Panel on Integrated River Development; he consulted with a fournation Lower Mekong River Coordinating Committee; he advised the U.N. Development Programme on manmade lakes; and he has consulted on the water quality of the Nile River/Lake Nasser. He now serves on the Advisory Committee on Greenhouse Gases of the World Meterological Organization, the United Nations Environment Programme, and ICSU, while continuing to serve as a member of SCOPE. As the third President of SCOPE (the Scientific Committee on Problems of the Environment) of the International Council of Scientific Unions (ICSU), Dr. White was pivotal in gaining wide acceptance for SCOPE as a nongovernmental, international council of scientists which can provide advice to governments and international bodies on environmental problems. During these six years Dr. White established a strong program at SCOPE to advance knowledge of the influence of humans on their environment and the effects of these environmental changes on people. A member of the National Academy of Sciences, Dr.White also has the distinction of being a Foreign Member of the Soviet Academy of Sciences. Dr. White earned his B.S., M.S. and Ph.D. degrees from the University of Chicago. 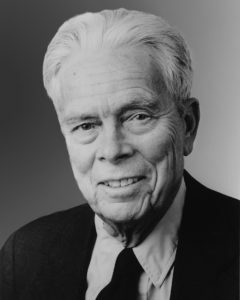 He served on the National Resources Planning Board, the Bureau of the Budget, and as President of Haverford College before teaching at Chicago, Oxford, and the University of Colorado. At Colorado he was Director of the Institute of Behavioral Science; and since 1980 he as been Gustavson Distinguished Professor of Geography, Emeritus. Among his other honors, Dr. White has received UNEP’s Sasakawa Environment Prize and the Anderson Medal of the Association of American Geographers.